“Discover, explore, imagine, play, laugh and breathe” is the foundation of facilitating yoga with this very precious age group. This training is packed full of music, song, dance, movement, balance and cooperation. Learn how to teach yoga to preschoolers! We use tools such as fun animal poses, nature, storytelling to foster basic listening skills, and simple games to recall poses. At Creative Yogis, we invite you to step back into the realm of this beautiful age, where singing delights, imaginations are curious and open, and everything is met with absolute enthusiasm. It is simply delightful to experience! Learn how to structure a class, create short sequences and find a moment of stillness in relaxation. Peace begins on the inside. Imagine what the world would be like if we all got to know our bodies and minds at the beginning of our journey on this planet! It is hard to imagine that children as young as preschool age can experience stress, but it is possible. 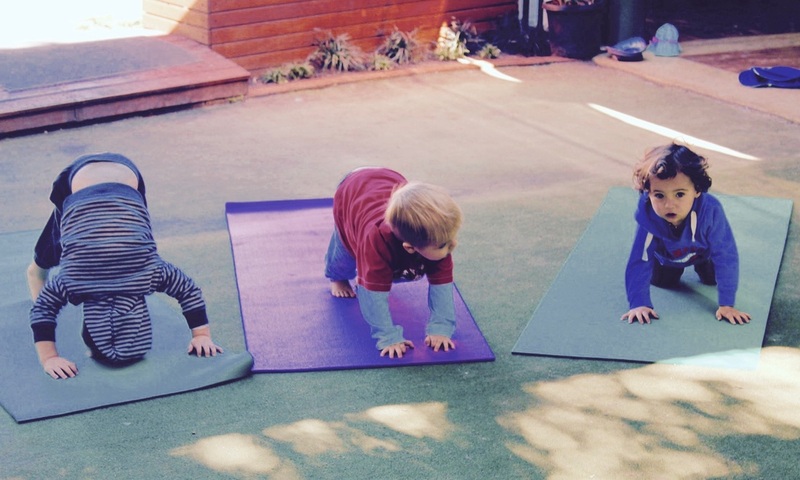 Through the introduction of yoga play, we can begin to offer our ‘littlies’ additional support in the development of both gross and fine motor skills and help to prepare them for school. Other benefits include: less tantrums, better sleep patterns and improved digestion. Also, healthy movement and activity lead to a physically fit lifestyle. And one more benefit we might all celebrate is the ability to listen more effectively – fingers and toes crossed! ​The habits we plant at an early stage are the seeds for a potentially healthy and joyful life. We hope you are able to answer this call to join us in exploring ways to connect and share yoga play with this special age group. Gentle beginnings can offer YOU the chance to learn skills to nurture and inspire our preschoolers to experience the joy of movement and creative play. We hope you have time to join our ‘play date’ and receive your tool box to share with our little yogis on the planet. With deep gratitude – we cannot wait to meet you soon! Registered yoga teachers are eligible for 8 hours of Continuing Education hours through Yoga Alliance Certification, as this training is presented by a YACEP (Yoga Alliance Continuing Education Provider). ​This one day training is open to parents, preschool-based educators, paediatric professionals, yoga teachers and yoga enthusiasts. under the bright eyes of Karen again in the future! Thanks so much."